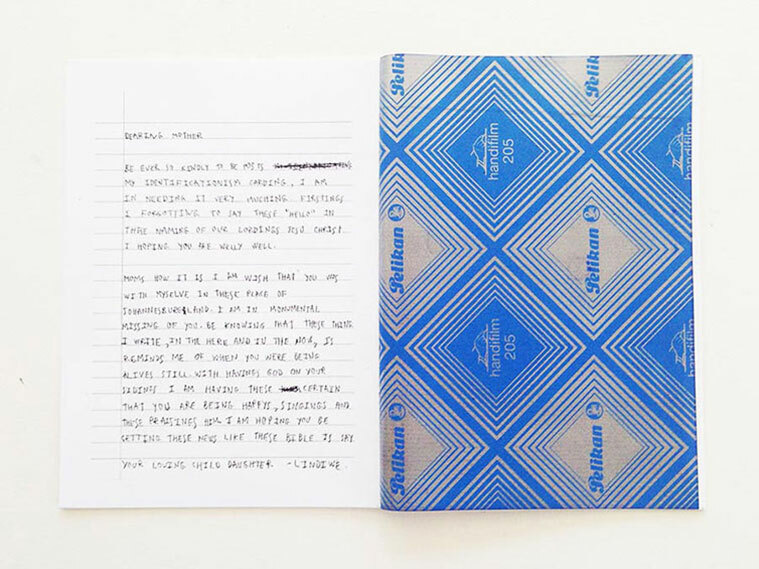 Free Lettering Translationisms is the outcome of an ongoing project, realised in several spaces within Johannesburg, that investigates the existence and agency of language in a South African context through the use of Breaking Inglish. 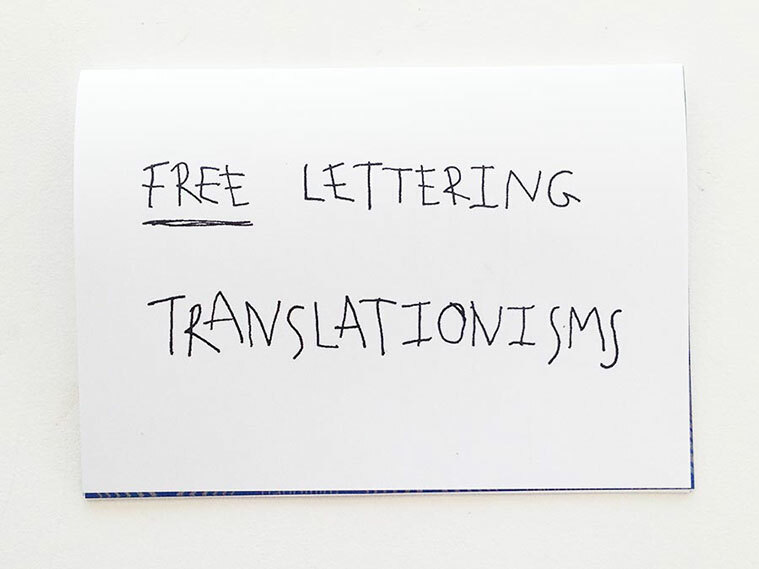 Offering a Free Lettering Translationisms service intending to break Inglish begins to function as a decolonial option of debunking notions of intellect and knowledge as we know it. 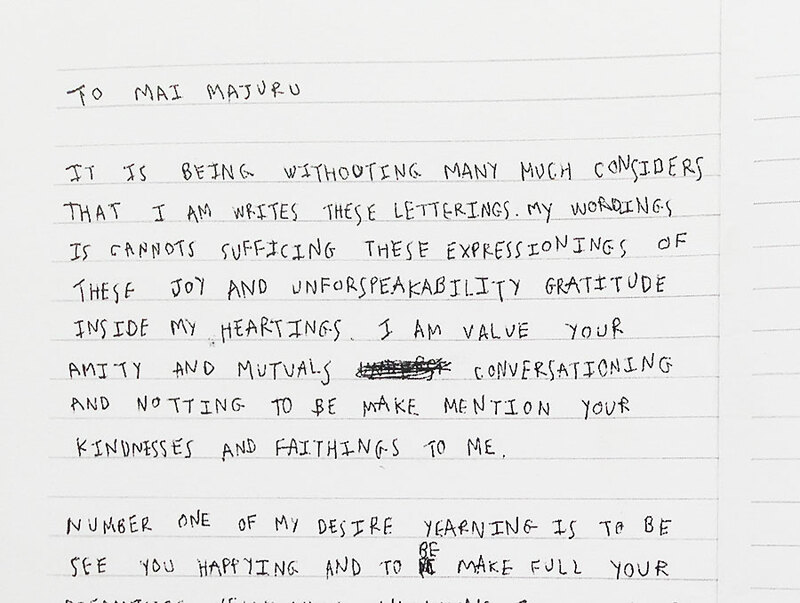 The performative act of translation becomes a way of engaging and exchanging with language as something that is fluid, where some things are lost while others are gained. Free Lettering Translationisms echoes the colonial legacy of English within the socio-historical and cultural climate of South Africa, a language which has been used to both systematically include and exclude individuals, a language which is a currency for navigation, a language which has both been embraced and disowned by individuals who occupy these spaces where we are expected to negotiate the [dis]engagement with these notions of language. The presence of Broken Inglish further challenges the notions that one's [in]ability to comprehend, read, write is a reflection of one's intellectual capacity.